In September 2019 10 years of interdisciplinary research are brought together in the first ever monographical exhibition and new publication on the Borman family of Brussels sculptors, active from the second half of the fifteenth century until well into the second third of the sixteenth century. The Bormans might have been ‘the best sculptors’ according to one document from 1513 but they did not operate in a vacuum. Brussels was a very vibrant artistic hub, a cultural space, that harboured many talented and influential artists, who worked at the pleasure of high-profile commissioners. The 6th ARDS annual colloquium, which celebrates new research in the field of renaissance and medieval sculpture will focus entirely on the contextualization of the Bormans. The colloquium will take place at M-Museum Leuven from Wednesday 27th to Friday 29th of November 2019. 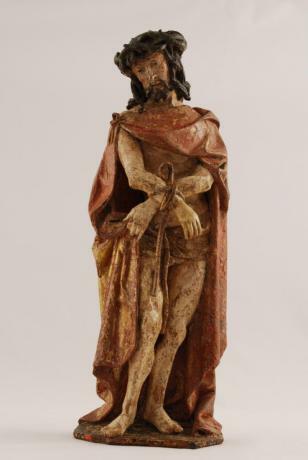 A call for papers is being launched to allow researchers working on (Brabantine) late medieval sculpture or painting in relation to sculpture, to present their research. The conference program will also include a day of in situ visits and excursions around Flanders.